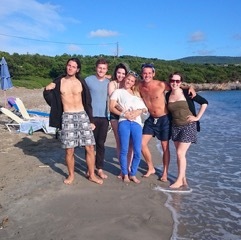 THE SKYROS BLOG: Lottie's reflection on her Atsitsa Bay holiday. Lottie's reflection on her Atsitsa Bay holiday. 'After two days of travelling via planes, trains, automobiles and ferries I had arrived on Skyros. Met by the blue “Atsitsa Bay” sign we were guided through the smallest airport I had ever seen (one room) and into the only taxis on the island (seven in total). My first night was stuttered and fidgety as I became used to sleeping in the huts, despite the mosquito net I was certain an insect-on-steroids would kill me in my sleep. As it turns out, it was my hair falling across my face and the (best ever) site tour by Mark in the morning assured me that Skyros is one of the safest places in the world. 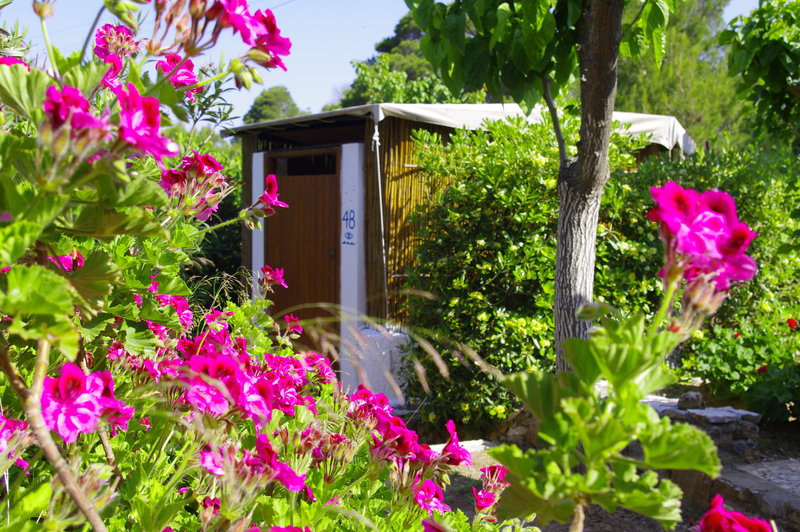 Sleeping in the huts didn’t take long to acclimatise to, even on my stormy last night I was dry and cosy and I slept well enough to wake at 7am for morning yoga with the wonderful Marina. Speaking of which, her morning yoga works wonders on a hangover as a result of a fantastic evening on Cookanara beach with the work scholars. I’d highly recommend their puttanesca pasta if you fancy the 22-minute stroll to the sandy beach; it also has free WiFi (hello Instagram, I’ve missed you!). While I’m on the subject of food glorious food, Takis and his team did such a fantastic job of feeding the hungry crowds. Highlights include a fantastic buttery fish, cracking Greek salads and a ‘jaffa cake in a glass’ as dance facilitator, Saskia, so succinctly described it. Apologies for the lack of food photos, I was always far too ravenous after yoga, windsurfing and writing to take pictures, but take it from me it looked as good as it tasted. I miss the food so much I’ve taken to eating feta at any given opportunity. Mark Gunston was a patient and helpful instructor of windsurfing, under his guidance I picked up the basics in a few short sessions and plan to continue windsurfing on the, much chiller, Isle of Wight. Despite Steve Attridge being an acclaimed author and screenwriter his project that excited me the most was that he was the writer of The Queens Nose, a fantastic kids tv show from the 90s. Alfie (barman extraordinaire) and I shared excitable glances as Steve told stories of the show’s super high ratings and what happened to the cast. Steve inspired me to write, as a “I’d love to write a book one day” sort of person I now believe I can, his exercises on inspiring ideas, character development and plot structure were amazingly helpful and I intend to start with a series of short stories based around a memory box. My time in Atsitsa was enchanting and exciting, I had never travelled alone before and I felt empowered by the supportive words of both staff and participants. Skyros is beautiful in a way that pictures cannot convey, the people are friendly, the town picturesque, the sea bluer and clearer than a metaphor can describe. The talent in such a small group was overwhelming and I was moved by some of the incredible songwriters who performed at the open mike night. The work scholars were helpful and hardworking and made my time there so much fun. 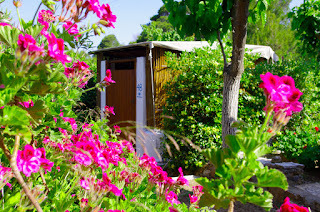 Skyros offers unique holidays in beautiful locations with a wide variety of courses and activities including yoga, art, writing, dance, comedy, music and much more, described as 'One of the world's best holidays' by The Sunday Times. 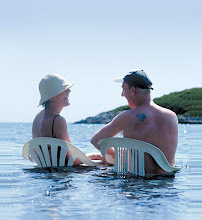 See www.skyros.com or call for a brochure on +44 (0)1983 865 566.